The leaves are falling but the sun's still shining, so we're enjoying some wonderful days out. Earlier this week we headed to Bekonscot Model Village for a bit of a fashion show with the minis. Sophia and Tatiana CatBoy are loving their beautiful new dresses from Swedish brand Me&I. Sophia opted for the long-sleeved all-over rose print dress. The on-trend big florals are right up her vintage mid-century street, and she just adores the super wide spinny skirt. With a bright turquoise background, the roses in shades of pink tumble across the fabric meaning it will go with all sorts of other clothes in her wardrobe. And did I mention it's super spinny??? Buy the birdies dress for £28.95 and the roses dress for £30.95 from me&I. Both are made from 95% cotton, 5% elastane single jersey. Lara opted for these cute striped leggings. Kind of knitted footless tights, they have stripes of turquoise, pink, apple green, orange, brown, yellow and off white on a black background, meaning they go with pretty much everything. Lara has been wearing them with shorts and skirts and LOVES them. Buy the footless knitted leggings from me&I for £13.95. Steve couldn't resist getting in on the action with his new boots from Aldi. The Avenue Men's Chukka Boots are practical with classic styling, combining traditional style with practicality. 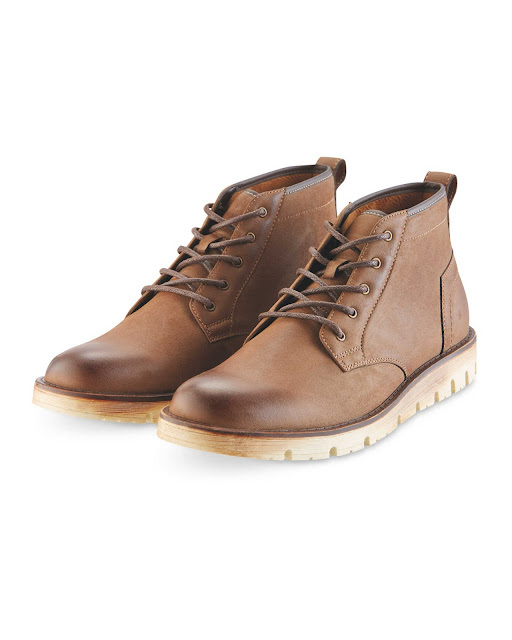 The ankle high lace-ups have an aged effect toe and tough grip sole in the classic chukka style. Available from Aldi online and in store, priced £19.99. 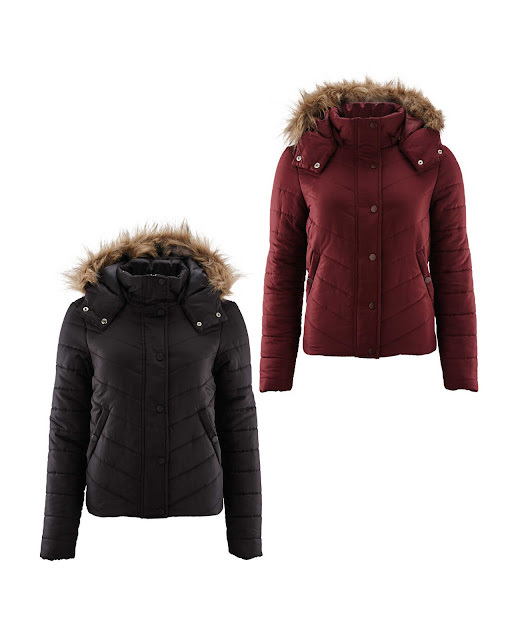 And finally, for us mamas, Aldi has a fab Ladies' Padded Jacket for a bargain £19.99. 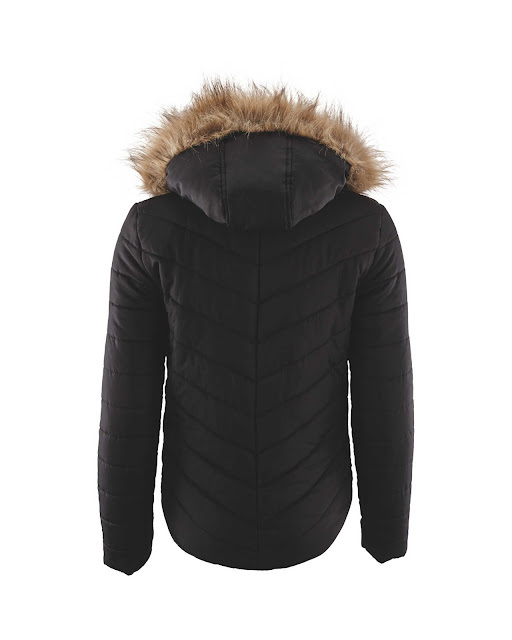 The padded jacket has faux fur around the hood and a zip opening front with press stud over fastening. It looks stylish but has padding and a cosy detachable hood to keep you warm, with detachable faux fur trim. Slightly elongated at the back, for fit and warmth, the Aldi Ladies' Padded Jacket retails at £19.99 and is available in store and online.